Should Christians Watch the World Cup? 9. The World Cup—like no other sport really—focuses our attention on the world. I have a tendency to be “parochial,” meaning that I tend to think like an American, but Christ is reigning over all the earth. So, watching Brazil, Iran, and South Korea play soccer causes me to think of the Christians I have met from those places, remembering the sweet fellowship we share which cannot be separate by oceans, skin color, language, or cultural peculiarities. Soccer unites the world like no other sport, (though such unity is but a dim reflection of that secured by the Christ of John 17). 8. Soccer is more fun when watched in a group. Bars and pubs everywhere draw great crowds for futbol cheers. Christians can join together, too, to watch soccer. While doing so, Christians join together with fellow believers all over the world. Just imagine that in every country represented in the World Cup, there are Christian brothers and sisters. Even in Iran, for instance, there are brothers and sisters in Christ. Indeed, it might be a good reminder when we see those countries to pray for the believers who certainly are alive there. They are often in grave danger from persecution. Christians can be found in each of the 32 countries of the World Cup because Christ has purchased them from every nation, tribe, and tongue. 7. The World Cup provides a very stiff level of competition, and competition is indicative of the reality of life in a fallen world. Concentrating on the defense and the incredible power and precision necessary to break through it allows me to think of the manner in which Christ has broken through the most potent forces marshaled by the prince of the power of the air. Competition and struggle are but dim reminders of the one Christ who has defeated all enemies—including sin and death—and is now waiting as they are becoming a footstool for His feet. 6. The World Cup is not shy to pronounce a winner. As in most sports, the goal is to be the champion. The World Cup will not allow everyone to go home a winner. There is but one trophy. There will be one winner, and the other 31 teams go home losers. The reason this is helpful to me is that it reminds me that Christ was tolerant in many ways that His fellow religious leaders were not, but, in the end, He made it plain that there is 1 way and 1 way only that leads to life (John 14:6). 5. Related to the “1-way” post above is the reality of triumph. As Christians, we tend to shy away from concepts of triumph, thinking that we ought not to gloat. While it is certainly true that we must not gloat, it is also true that triumph itself is glorious. Christ has triumphed over His enemies and made a public spectacle of them (Colossians 2:15). I hope the U.S. triumphs over the competition in the 2014 World Cup. 4. Related to triumph is glory. One of the greatest lessons in all sports is the lesson of glory. If sports is about anything, it is about glory. 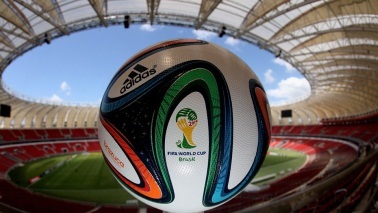 While it may be true that most of the athletes in the 2014 FIFA World Cup have their eyes fixed on a “perishable wreath,” nevertheless, glory abounds. There are so many stories of athletes like Julio Cesar (goalie for Brazil) who had to overcome injury, defeat, and rejection, but now seeks redemption and gives glory to God. In truth, most of the FIFA athletes are pursuing glory, while more than a billion people are watching—hoping to see it. 3. Related to glory is the suffering required to achieve it. In Christ, the greatest suffering resulted in the highest glory. The stories of agonizing workouts and overcoming both enemies and injuries reflect—even if only to a small extent—the glory of the triumphant Christ. These World Cup athletes are suffering injury and ridicule in their pursuit of glory. By the time the U.S. wins the World Cup (! ), there will have been many trials suffered through and overcome. Their perseverance will be exalted along with their skill. No matter who wins, perseverance will prove to have been a key element of their glorious triumph. And, again, this perseverance is what Christ calls us to and what He Himself modeled perfectly in overcoming sin, death, temptation. According to Philippians 2, this perseverance ends with his being exalted to the highest place of Heaven. 2. Related to suffering and perseverance is the constant reminder in soccer that we live in a fallen world. So often, referees will get the calls wrong. They are human, and they fail. Unlike in other sports, soccer leaves these errors in as part of the game, and I am glad they do. They are part of life. If you can’t overcome the errors made by yourself and others, you won’t accomplish much in this fallen world. In other words, FIFA allows injustice to be part of the game because it forces teams to overcome. This is real world stuff. Life does not offer us a “further review.” Once a word is spoken or a deed is done, it cannot be overruled or undone. Thankfully, it can be redeemed. 1. And speaking of redemption, the number 1 way to watch the World Cup to the glory of God is to watch for the cross. The cross makes soccer “the beautiful game,” as Pele was quick to call it. I agree. Soccer is a beautiful game. A central aspect of that beauty is the cross, which causes one player to expose himself to the defense, then sacrifice his ability to score so that someone else receives the goal and the glory. What could be more beautiful? Christ drew the enemy to Himself, took all the venom and poison the enemy could muster, then, at the cross, he sacrificed Himself so that others might become partakers of His glory. Not even soccer is more beautiful than the cross of Christ. Soccer is the beautiful game, but Christ is the beautiful Savior whose light eclipses all the lesser glory of sports. Christians are not the only courageous people in the world. Here on my blog and at our ministry to the persecuted church (Project 13:3), we often highlight cases of Christian courage, telling the stories of those unwilling to yield their faith in Christ to the threats of police, parents, and employers. Such stories of conviction under fire are not uncommon anymore, given the increase in hostility against religion. It’s easy for us to forget that all people of good courage and righteous convictions are subject to opposition. Such opposition is now a reality for Muhammad Dadkhah, a Muslim lawyer working for religious freedom in the Islamic Republic of Iran. You may have heard of Dadkhah during the trial and consequent protest campaign of Pastor Youcef Nadarkhani. Dadkhah represented Pastor Youcef and has stood up for 20 Christians who have been sentenced to death in Iran. In America, there’s a degree of nobility in those who seek to defend basic human rights. In Iran, there is an exponentially increased nobility in the gesture of a Muslim lawyer who represents persecuted Christian pastors. For my part, I say, “Thank you,” to Dadkhah for his efforts on behalf of persecuted Christians. May he be rewarded for his aid to Christ’s followers (Matthew 10:42). According to ACLJ, Dadkhah was prosecuted and is now serving a 9 year prison sentence. The Iranian regime has claimed he is “aiding and abetting” in the alleged crimes of his clients by offering his services free of charge. Anyone and everyone who cares about courage or freedom should join in the calls made by the U.N. and demand Dadkhah’s release. We should continue to pray, as his fate will be determined soon. As this news article from Baptist Press details, Islam in Iran is once again displaying its blood-thirsty side. Pastor Yousef Nadarkhani, a house church leader for 400 Christians in Iran, is subject to the death penalty because he will not renounce his faith in Jesus Christ. Earlier this year, Nadarkhani’s execution was delayed so that he might be given the opportunity to recant. According to the law, Nadarkhani must refuse 4 times before being put to death. He has already refused 3 times. Today could mark the end of his life if he refuses for a 4th time to deny Christ. points out that he remains guilty of apostasy because he has Muslim relatives. Even more, there is no law in Iran specifically calling for the death penalty for those who leave Islam. Thus, even though Nadarkhani never left Islam, and even though there is no law against leaving Islam in Iran, this pastor may well be put to death for leaving Islam. In short, Pastor Nadarkhani may be put to death for his faith in Jesus Christ. If so, his death will be a great injustice. Of course, it wouldn’t be the first time (or the last) that the body of Christ were treated unfairly and killed untimely. May the Lord strengthen this brother with grace and peace and faith–and reward him with the crown of life if she should die. To be absent in the body is to be present with the Lord. It may well be the will of our God for him to be delivered as Peter and Paul and others often were. We should (as they did in Acts 12) pray to that end. We are commanded in Hebrews 13:3 to remember those Christians who are suffering in prison on account of Christ. Here is an opportunity for us to remember one. Recently, Pastor Youcef Nardarkhani was reportedly sentenced to death for apostasy. VOM contacts confirm that the pastor’s trial was held in recent weeks in the 11th Chamber of The Assize Court of the province of Gilan. Pastor Youcef is one of several members of his church who have been imprisoned. In the past, the Iranian government has also imprisoned and released his wife. Pastor Youcef was arrested in October 2009 after protesting a decision by the government requiring that his son study the Quran. Pastor Youcef is a leader in the Full Gospel “Church of Iran” network, a group that stands apart from most house church groups in Iran. 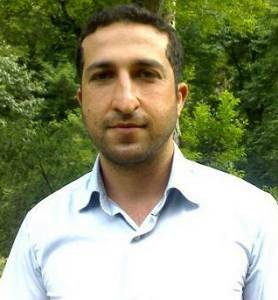 VOM contacts received word that Youcef Nadarkhani remains in prison in Lakan province in northern Iran. He continues to face the death sentence for apostasy. Last week our contacts were informed that a decision had been reached in his case. However, no one was informed as to what that decision was. Please pray for him and his family. Pray that his faith would stand firm regardless of circumstances. Pastor Youcef remains in the custody of the Islamic government of Iran under a death sentence at Lakan prison in Gilan province in northern Iran. He is being held in the main part of the prison with drug dealers and murderers. He is waiting for the Supreme Court to review his case and render a judgment on whether or not the death sentence will be carried out. The situation is very difficult for his wife and children. Typically, all we know about Iran is that they are going nuclear, and we (meaning Americans) might be in danger from such a move. Sure, as Christians–as well as Americans–our interests are political. We ought to be concerned about Iran’s nuclear ambitions. However, we Christians have a much larger concern (as is pointed out nicely over on Big Circumstance). Our larger concern is, of course, the spread of the Gospel. This excerpt from Operation World points out that the Good News is indeed spreading in Iran. Disillusionment with the Islamic Revolution still grows and spreads. Thirty years of war, economic hardship, a strict authoritarian government and lack of freedom yield widespread disappointment, especially among the younger generation. 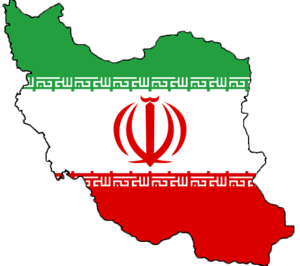 Iranians’ sense of disconnectedness with their rulers – and even with their national religion – makes them exceptionally open to the gospel. The long and respectable history of Christianity in Persia, the Church’s noble suffering under persecution and the natural bridges between Shi’ism and Christianity make for unprecedented opportunities for church growth. There is a great hunger for the good news and for authentic spirituality. The great hunger is presently on display in the growth rate of Christianity in Iran: nearly a 20% increase per year. That is both amazing and praiseworthy. However, it is also prayer-worthy. Operation World projects the number of Christians to be somewhere between 100,000 and 400,000. Out of a total population of more than 75 million, Christians still represent a very small minority. Yet, as we have said, the numbers are growing rapidly. Christians are no longer “under the radar.” They are known and, thus, they are–as Christ said we always would be–targets for persecution (Matthew 5:10-11). Because the Christians are now present in recognizable numbers, they are being persecuted. As this story relates, the persecution has increased since the beginning of the year. They need prayer, and they are asking for our prayers. According to this report from Jihad Watch, Neda Soltani, symbol of the Iranian protests, was a Christian. There are many implications from this information. Apparently, the picture of her which circulated around the world originally cropped out the cross she wore around her neck. See the picture and a more complete discussion at Get Religion. As GR points out, the story is not yet complete; the matter of Neda’s faith is not yet settled. But better questions should be asked and answered now about oppression and murder in Iran.